There are more than 70 million WordPress websites that are live on the World Wide Web. These websites collectively register 11.8 billion pages views each month. In short WordPress is highly successful and it has a lot of fans, so if you are thinking of creating your new website in WordPress CMS, you have made an excellent choice. But creating a WordPress website and creating a professional WordPress website are two different processes. If you wish to create a website that you want the whole world to know about, or if you wish to create a website that bring you business, or if you wish to create a website that you can proudly share among your audiences, you have to follow guidelines that professionals follow while creating a WordPress website. 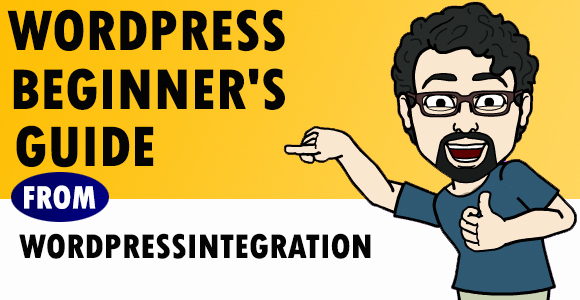 So to help you make a WordPress website that will make a difference, WordPressIntegration brings you a complete guide to create a perfect professional WordPress website. Choosing a right domain is important. This name would be synonymous with your brand from there on and your users will relate to your products, services or your content with this domain name. Therefore some care should be given in choosing a right domain name. There are two main parts of a domain name, such as the Top Level Domain (TLD) name and the Root Level Domain name. TLD name is the last few characters at the end of a domain name and the root name is the full name of the domain. For example in Http://www.WordPressintegration.com, .com is the TLD name and wordpressintegration.co is the root domain name. TLD name suggests the type of website for example, .org is used for non-profit organization, and .gov is used for government websites. Thus choosing a right TLD and domain name is important to properly represent your website. Domain name can become an important brand. So if you still haven’t created a brand, then pick a creative domain name and make it your brand name as well. Your domain name should be easy to pronounce, easy to remember and should be unique in its own right. Refrain from using clever spellings or long or complex domain names. If your desired domain name is not available, then also don’t waste senseless money on buying already registered domain name before weighing all pros and cons. Remember more often than not a creative alternative is always available. Choose a generic name or a unique brand name. Generic names are easy to promote in early stages but many times fail in establishing a brand. Unique brand names are very hard to promote n early stages but once popular they perform very well. Don’t stuff keywords in the domain name. Search engines have started to penalize this practice. .Com: – The most used and usually most expensive TLD. This TLD used by those organizations that use their website for commercial purposes. .org:- This is used by non-profit organization and websites i.e. no commercial activity using this TLD. .edu:- this TLD is used by educational institutes. .gov:- TLD used by national and state governments along with governmental organizations and institutes. .info:- Used by information websites. .biz:- Another alternative to .com and .net. This TLD is generally used by businesses. After you have chosen a domain name, the next step is to find a suitable hosting service for your WordPress website. WordPress is a PHP and apache based content management system.Therefore to run the latest WordPress version your host should have latest PHP and Apache server versions. So check the hosting service provider’s server features. To operate the latest WordPress version your hosting service should support:- PHP v5.2.4 or greater, MySQL v5.0 or greater. As you may see, these are not very difficult criteria to meet and therefore quite a lot of hosting service supports WordPress. So if you already have a host you may not need to change. Price: – Their monthly or yearly rates and any hidden or additional charges that they take. Bandwidth and storage: – Find out how much storage they will provide you and the bandwidth that they will assign to you. It would a very big factor in choosing a host once you start receiving million page views daily and have GBs of website data. Technological Support: – how advanced their servers are and what versions of PHP and SQL they support. Security: – How good their security really is. To find this out check the anti-viruses and firewalls they use and find out on net about their overall record in security. Company profile: – How long they have been providing hosting services and how much satisfied their customers are. You can find out customer satisfaction on forums and review websites. WordPress.org recommends these three hosting service providers:- BlueHost, DreamHost, Laughingsquid. To check out detailed reviews and comparison of these three hosting services, have a look at this post. Extract the zip file and upload it to your domain using any FTP client. Most web-developers use FileZilla, but you are free to use whatever FTP client you want. You can upload the file at the root folder if you want to install your file at domainname.com itself, or you can create a folder at the root domain and upload it over there if you want to install it on a sub-domain like domainname.com/blog. This post by WordPress.org contains detailed instructions on how to upload WordPress through FTP using filezilla. Use strong passwords: – Passwords are you first line of defense so make them as strong as possible. Never use wp_ as database prefix: – Many webmasters use wp_ as their database table name prefix. It is not a very good practice and must be avoided. Use unique database prefixes: – To increase the user-friendliness of your database tables, use unique database names to distinguish from one another. Do not give any database user complete Root access: – For security purposes do not use or even create any user with full root access to SQL database. It’s especially important for those who are launching self hosted website. Now before you continue, you would have to configure the wp-config.php file in your WordPress folder. It most probably would be by name of wp-config-sample.php so just rename it. Inside the file change the parameters of database name and password. This will allow your WordPress to automatically access your just created database. Save the file and exit. WordPress is famous for its 5 minute installation. So just log to your domain URL or the URl at which you have uploaded your WordPress folder, and follow the inbuilt instructions. The setup will ask many important information so make sure to read every part carefully before clicking on next. The next step is choosing the right theme. There are many free themes available on the internet but most of them fall short in user expectations. Choosing the professional theme is what differentiates your website from all the websites on the internet and its best to use a custom WordPress theme, and many times even paid themes fails in user expectations. Therefore we would highly recommend you to use a professional WordPress developer like WordPressintegration.com to convert your dream designs into working WordPress themes. But if you are thinking of using a pre-built theme, here are few guidelines that will help you in choosing the right theme for your website. Check whether the theme is compatible with the latest version of WordPress. Make sure that the theme is responsive or mobile friendly. Make sure that the theme fits perfectly with your website/blogs general design and can be customized easily to get that desired look. Free themes are good if you are thinking to create a low input website, but for a professional website, go for a premium theme only. Here are a few websites from where you can buy good quality premium themes:- http://themeforest.net/, http://www.elegantthemes.com/, http://themify.me/themes. Many themes contain in-build functionalities. Make sure they are compatible with latest WordPress versions and are working properly. Beware of hidden codes inside WordPress themes. Only use and download themes from reputed sources. Home Page: – It is the page at which your user lands when they type your domain name in the browser. This is also the page that is linked to home button and to your website Logo image. In general for blogs the home page is dynamic and displays latest updates, but for professional websites you can create static homepage that displays your website’s services or products. 404 Error page: – Make sure that you have included a properly formatted and styled 404.php page in theme folder. This page will handle all 404 errors and allow WordPress to display custom 404 error messages. About Us page: – The about us page is the webpages that let your user know about you. This page generally tells about your inspiration to start the blog or company and your goals in starting it. You may also tell about you website and companies history in this page. Check and monitor the WordPress accesses to users. Monitor frequent file changes and check for suspicious activities especially in file uploads. As said earlier change database table prefixes from wp_ to anything else. Regularly update Firewall and Antivirus solutions of your website. To learn about detailed guidelines on keeping WordPress secure and to know about more WordPress security plugins, checkout this excellent post on WordPress security. If you wish to optimize your website to get most number of visits or to get most conversion, you would first have to analyze the visitor’s behavior on your website. You need to track the location from where you are getting your current traffic and by how much so that you can work on getting more traffic from the same source and work to get traffic from other sources. In short keeping track of you user counts and behavior is important in many ways. Therefore you would definitely need an Analytics tools. As per latest Google and Bing guidelines the faster your website’s page load time is the better search engine rank it will have among its peers. Therefore faster page load time also has search engine benefits. You can increase the page load speed of the WordPress website by using caching plugins. Some best caching plugins include:- W3 Total Cache, WP Super Cache, Hyper Cache. Ranking high on searches that are relevant to your website or blog, is what ultimately brings your website traffic. To get that rank you would have optimize your website in accordance with search engines algorithms and guidelines. So here are a few tricks to make your website more search engine friendly. Try to use relevant keywords in the titles of the post and create keyword rich permalink post slugs. Launch a website with at least 5 relevant posts. Also theme the content of your blog or website towards a particular niche. This will help you to rank on relevant keywords easier. You should always use unique content in your posts and website content. If you have used some content from another website or source make sure to include < rel= “canonical” > tags in the HTML coding. The last technical step is to add an automatic backup solution to your WordPress website because let’s face it, no matter how careful you may be with your website, situations arises when you break some part of your website or another. So to prepare for those types of situation you should regularly take backups of your WordPress website. Here are a few ways by which you can take backup of your website. The most used way is to physically download a copy of your website and database on multiple non-hosted hard drives. You would have to copy the whole WordPress folder from the domain and have to import the full database into SQL format. There two best plugins that you can use to take backup of your website. Here are few good one:- BackWPup Free, WP-DBManager. Add RSS buttons above the fold of website pages. Some really good WordPress plugins to include RSS feed and RSS button in website are:- Social Media Widget, WP RSS Aggregator, FD Feedburner Plugin. Add social media buttons to every page of the WordPress website. Here are few great plugins to add Social sharing buttons:- Sociable, Sharebar, ShareThis. Add Favicon images to the WordPress website. Here are a few plugins to efficiently add favicon images:- All In One Favicon, Custom Favicon, Easy Set Favicon. Now that all the essential technical requirements are met, time has come to test your website. If your website passes all these tests then that would mean that your website is of high quality and search engines will automatically start to prefer it over others. Here are a few tests that you should perform before making your website live. Check that the website content is 100% unique. You can check whether your content is unique or not at http://www.copyscape.com/. Test all your forms and rollovers multiple times. Use unit testing methods and integration testing methods to make sure that your forms are working perfectly. Step 15: What happens if my website fails a test? Make sure that WordPress CMS, theme, and all the plugins are upto date. If problem persists, disable all plugins then test the website. If the problem still remains then the fault is with your theme. Update it or change it with newer version, or change the whole theme itself until the theme passes the tests. To avoid this problem it is best to get your theme developed by a professional WordPress developer. After the theme has passed these tests, enable all the plugins. If the problem re-appears then disable all plugins, then enable each plugin one by one and test the website at each step. Update, change or remove the problematic plugin. If the problem still persists or if you are not able to find an alternative to a plugin or theme, its best to consult a professional WordPress developer.